When moles become a danger to livestock or to your vegetable patch the highly efficient Tunnel Type Mole Trap also known as the half barrel trap should be considered. Easy to install in the mole tunnel as the trap features a shaped metal roof which covers the mechanisms so they are not affected by soil or rocks and which also blocks any light so can be placed closer to the surface. This is a neat and tidy solution that leaves no parts on the surface and also has the possibility of multiple catches with an independant catch hook on each end. 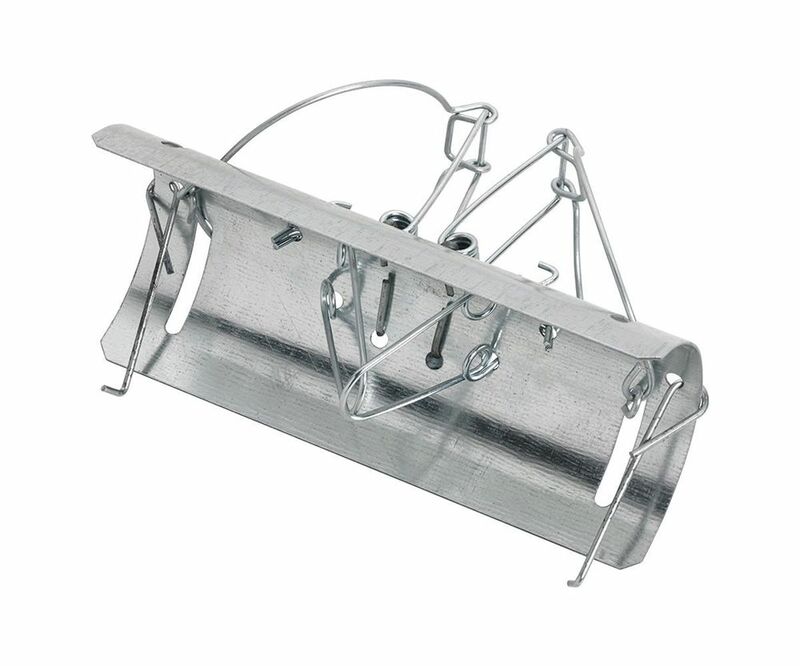 This trap is made from mild steel and is zinc coated which increases corrosion resistance. Best traps on the web in my opinion and I've tried a good many of them, great value too!